BLANKwalls Design is a full service design firm based in San Francisco. Our goal is to create environments that express a client’s lifestyle, personality and entertaining style. This goal is achieved by surrounding the client with colors, furnishings and finishes that speak to the spaces and the users. Interior design done well brings its own rewards. We know this is a service business and a close relationship with the client is vital to success as is frequent communication. Collaboration with other design professions on larger projects is what we do well. 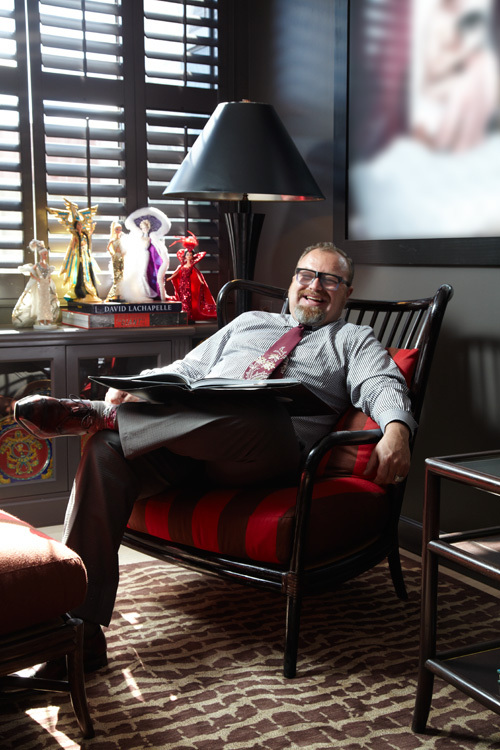 Stephan Blachowski leads the creative vision and helps clients discover their voice and fulfill their lifestyle desires. He and his team make the experience fun and light. Stephan’s enthusiasm and laughter play an important role in making clients feel comfortable. Our designs grace fine residences, hotels, retail stores, wineries, professional offices, stores and showrooms. We are known for our sense of color, proportion, and scale. We customize where necessary—closets, cabinets and furniture—to complete the vision. We achieve dynamic and dramatic results, while working within budgetary constraints. Projects in the San Francisco Bay Area, New York, Ohio and Florida. Our clients’ referrals are our best advertising.